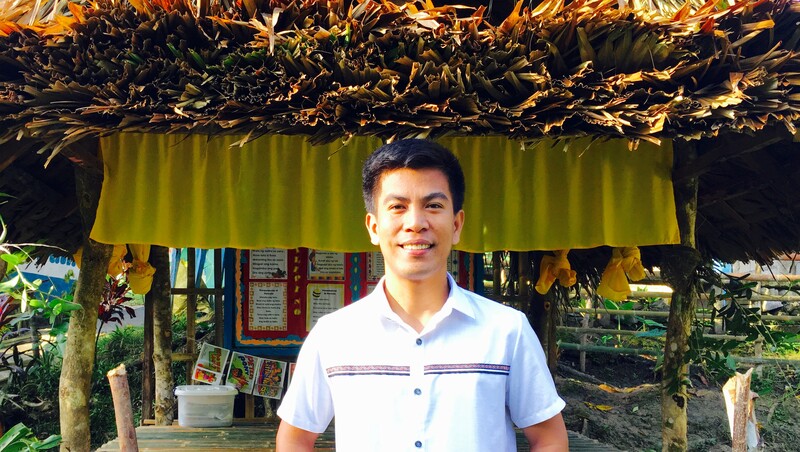 Ryan comes from, and teaches in, a remote rural community in the Philippines. Children used to travel up to two hours from their villages through mountainous paths, crossing rivers and brooks, to get to school. Parents are sometimes unwilling to send their children to school because of the dangerous journey, their own lack of education, and sometimes because they need their children to work to supplement the family income. Despite that, Ryan has succeeded in encouraging children to attend, learn and go on to high school and even college. At the start of Ryan’s teaching career he reopened a school in a remote village and was the first and only teacher there, handling four classes, as a volunteer teacher. After a year he was given permanent teacher status and more members of staff were recruited. In his next school he once again had many challenges including limited resources, but with support from the local community, and eventually his congresswoman, he managed to get funding for a new school building. His dream is to make every child a reader. With help from his community and many parent volunteers he has launched many innovative initiatives to promote reading in impoverished communities. His floating library uses rafts and motorised boats to reach out-of-school youths and children who are seasonal workers, living close to the river. His pushcart library goes round the village after school. He has also trained mothers to help teachers and older siblings to teach their little brothers and sisters.